High quality screen printing is what our company was built upon. We have manual and automatic printing capabilities that allow us to print runs from twelve shirts to twelve thousand. Additionally, we are the only local company able to print with water based inks, giving your items a retail quality feel. With every part of the process done in-house - from design concept to final print - we are able to ensure you receive the best product possible. This also allows us to give you turnaround times much quicker than other companies. 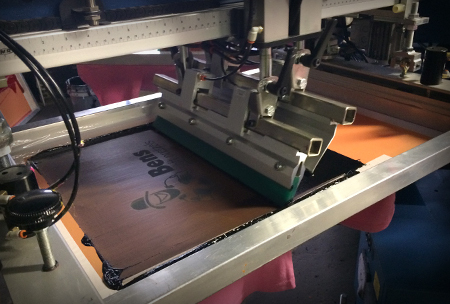 For more info on the screen printing process and how costs are figured, visit our FAQ page.